Photos from an LH reader for giveaway prize! 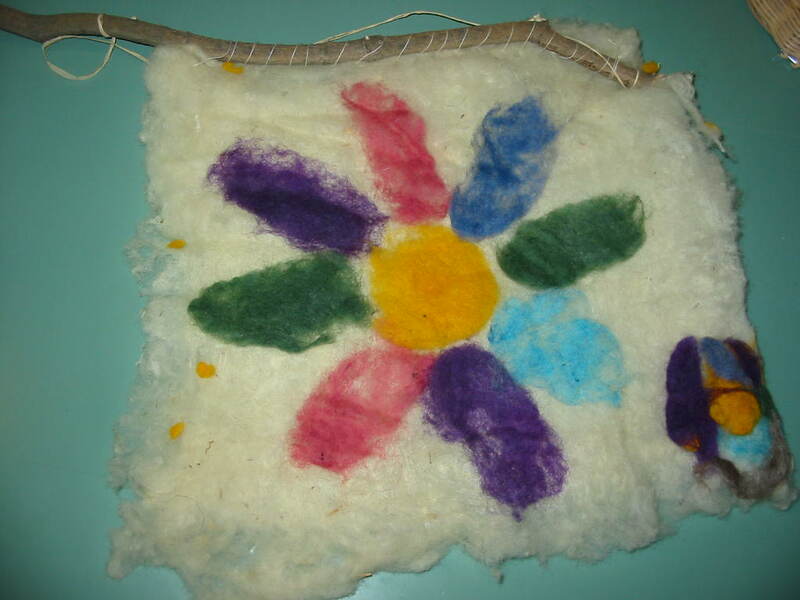 Suzana, a teacher in Croatia has been following my blog and has sent in these wonderful images of her felting. 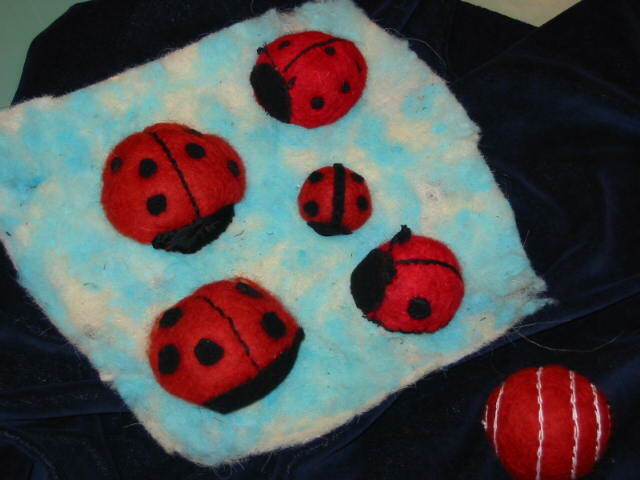 These are ladybugs made by wet felting balls, first with white wool, then red over the top. The balls were cut in half and at the end they were needle felted. These ladybugs are used as puppets for the children in Suzana’s kindergarten. I would never have thought of this! Thanks for sharing Suzana! 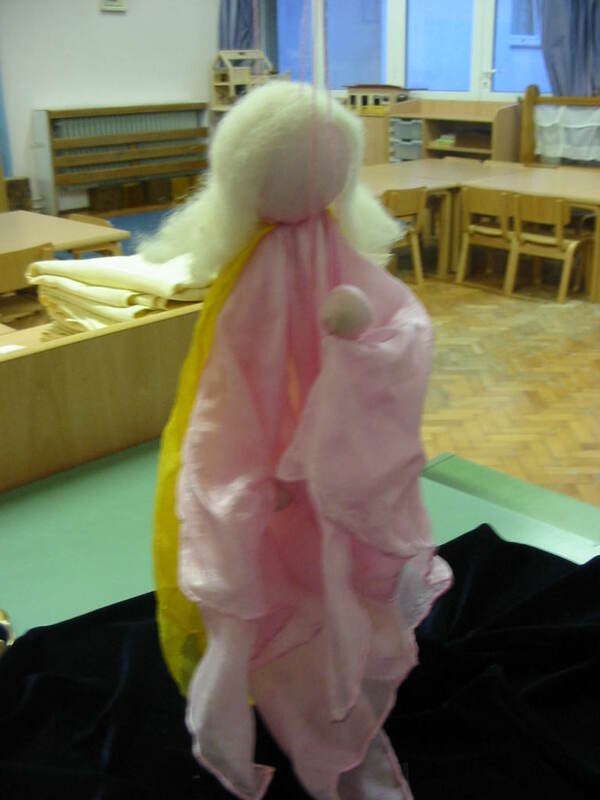 In the second picture Suzana shares her Fairy puppet, which is painted silk for the body, and the head was stuffed with wool and wrapped with cotton fabric in skin color. This puppet was part of the puppet actors in the play “The Girl from Rosemary”, a folk story from Croatia. Here we have Suzana’s first attempt at wet felting and framework with the branches of olive trees from her yard. 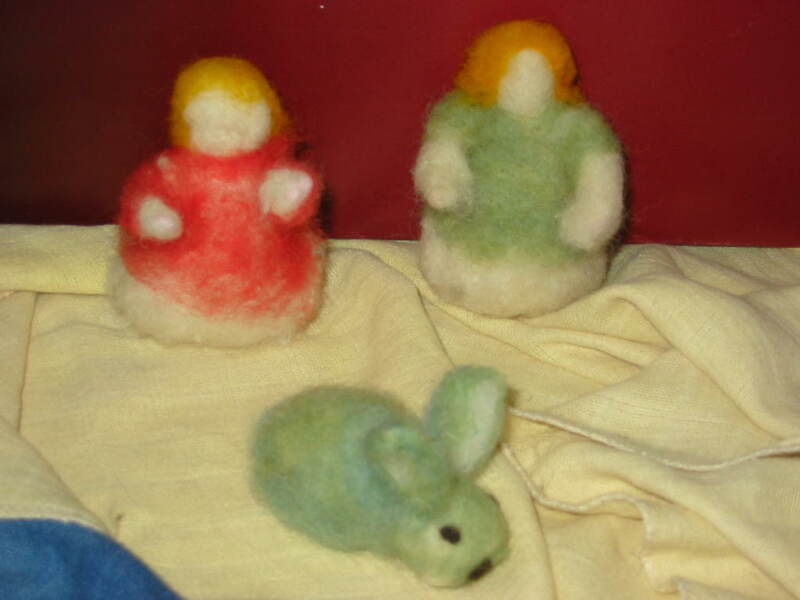 This last picture shows Suzana’s girls and bunny which were her first attempt at needle felting. The basis is white sheep wool with a thin layer of colored wool over the top, painted with the colors for dying eggs. These special ones are kept in her daughter’s room. Suzana will be hosting an easter bunny needle felting workshop soon. I do hope you send in some photos. Thank you so much for sharing these Suzana, an angel felting kit will be on its way next week, winging its way across the seas to you in Croatia!